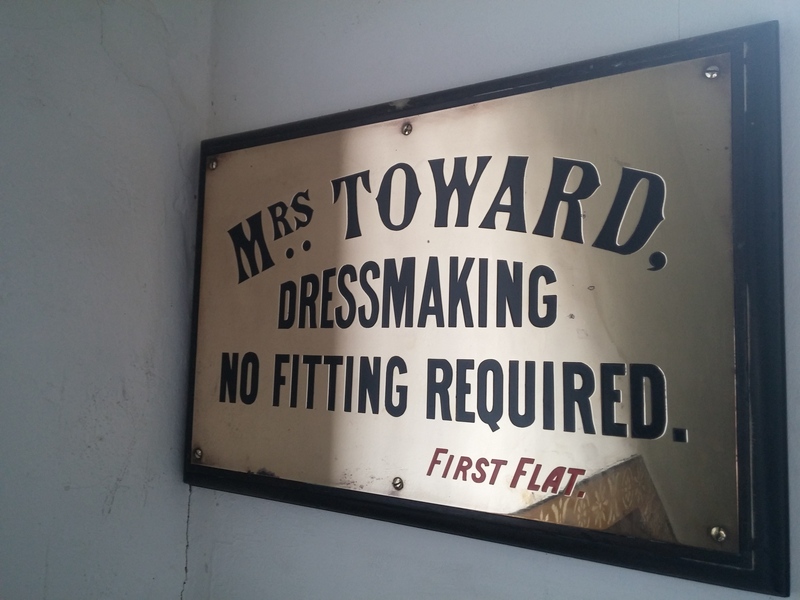 The sign on the stairs in Glasgow’s fabulous Tenement House: can Mrs Toward do miracles?? I’m back from the BEST week in sunny (well, alright, changeable) Scotland. My husband and I went up on the sleeper train and took in Aberdeen, Edinburgh and Glasgow on our travels. 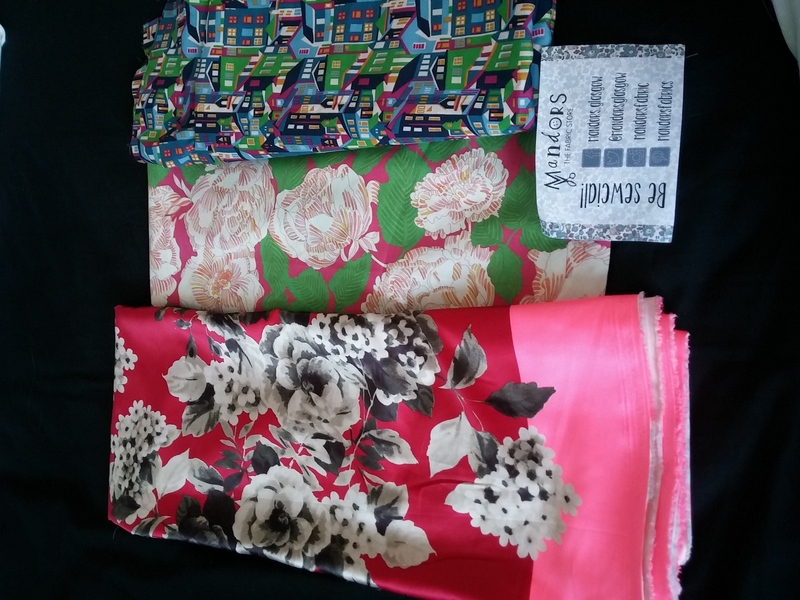 I also managed to do some fabric shopping in Glasgow, and meet up with super lovely fellow sewist Shirley who took me for a little trip to a great place selling super cheap liberty prints (£8 a metre!). 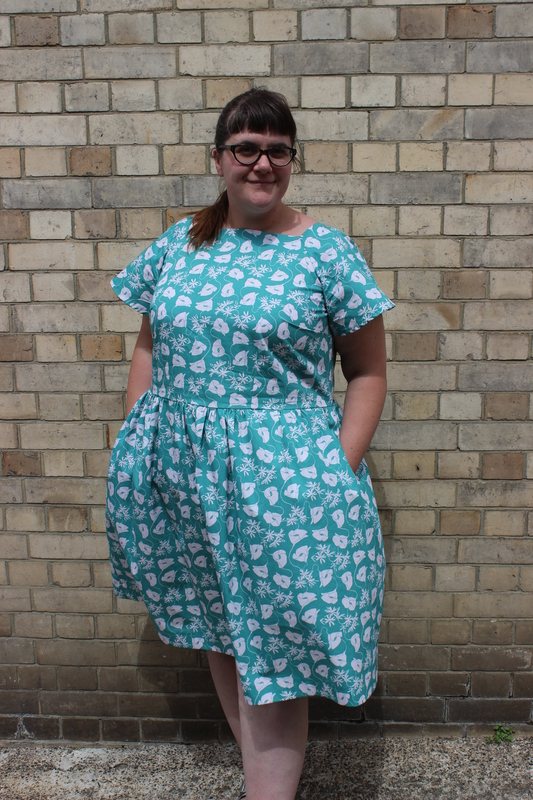 I took quite a lot of me-made clothes on my holidays, including my latest make which is, unsurprisingly, another ESP. I don’t have much to say about this that is different from my previous E.S.P apart from the fact that I did try to lower the neckline by extending the width at the top of the shoulder piece. 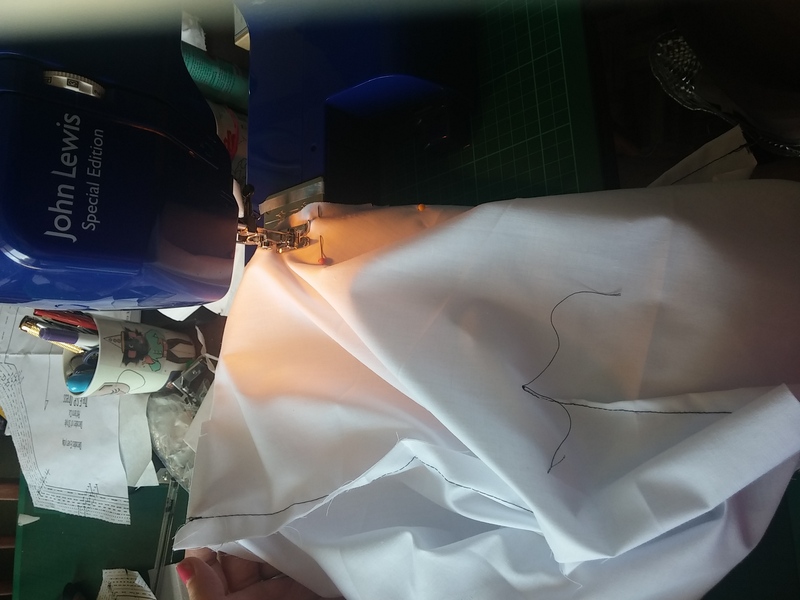 However, once I had sewed it up, I realised I hadn’t also enlarged my facings, and being incredibly lazy, I just sewed it back up with a much larger seam allowance so the facings fit, instead of drafting new facings. I am the actual worst. However somewhere along the line some magic happened and the neckline is a little bit lower and more comfortable. 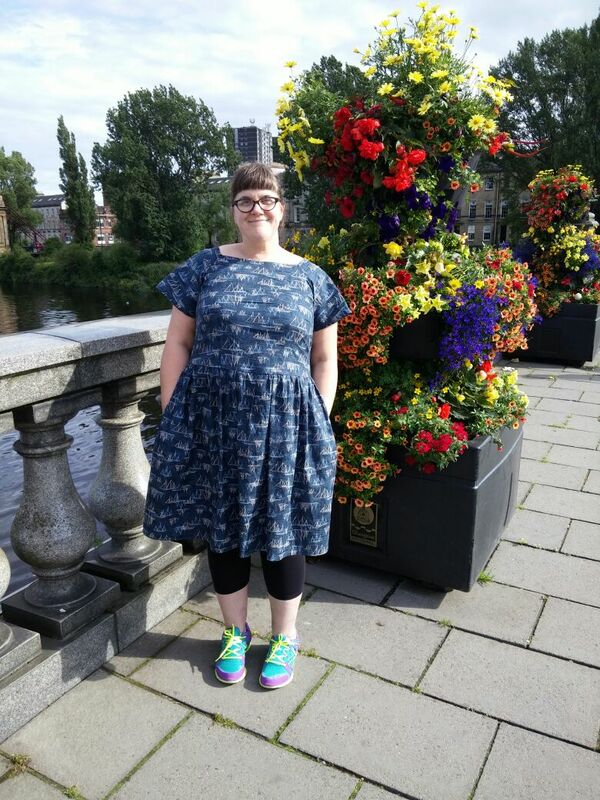 I obviously can’t repeat this as it is borne out of bodging, but it makes this dress supremely comfortable. It’s made from a lovely quilting cotton from Moda called More Hearty Good Wishes and features line drawings of boats. It was also pointed out to me that from a distance, they look like suspension bridges which is very excellent. 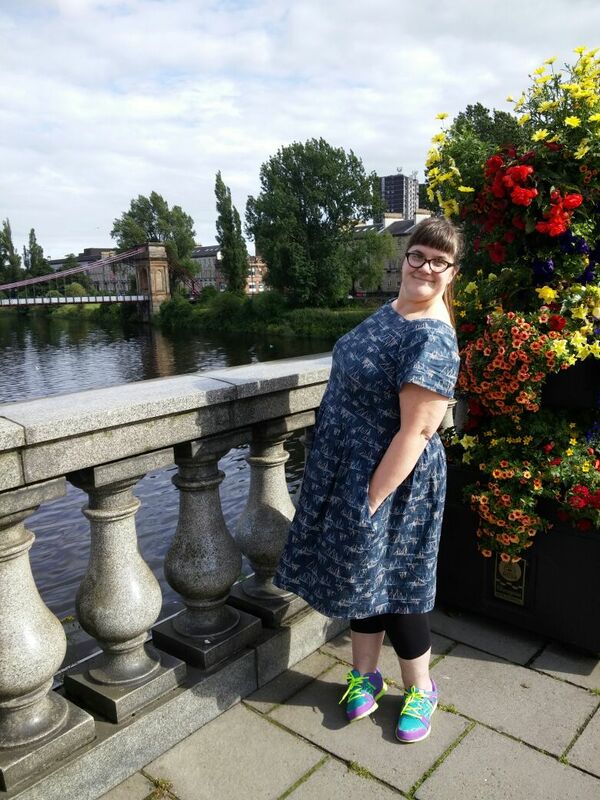 It was very comfy for wearing around GLORIOUS Glasgow and for doing a spot of fabric shopping in. 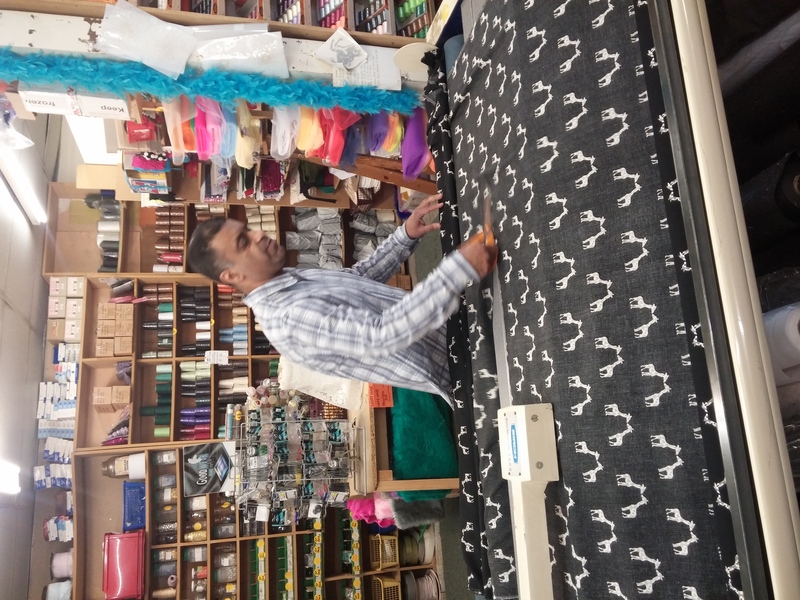 I only went to Fabric Bazaar and Mandors (OMG Mandors is fabric heaven) which I can heartily recommend but there is a great guide to Glasgow fabric shopping by the wonderful Kestrel Makes, here. It seems to me that fabric shopping in Glasgow is a lot better (by which I partly mean cheaper!) than London. Mandors was magic, full of gorgeous discounted Liberty (what is it with Scotland selling Liberty at half the price of, errr, Liberty?!) and other brands. I got some fabulous floral John Kaldor satiny stuff and a couple of Liberty prints for a tenner a metre. Sadly, tragically, the houses one is for a shirt for Robin. It would make the BEST ESP dress yet. Luckily, I had already bought myself some Hyderabad Madras Check Liberty for an ESP, so you don’t have to weep for me too much. 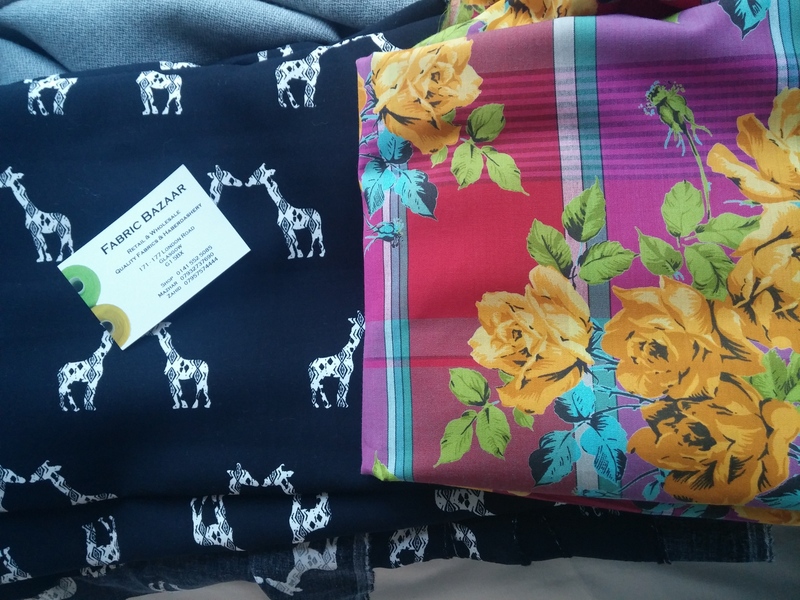 I also bought 4m of this amazing giraffe pattern rayony stuff, probably for a Southport maxi, but maybe for some Alexandria peg trousers and a matching cropped t-shirt. As I’m typing this I think that actually might need to happen. 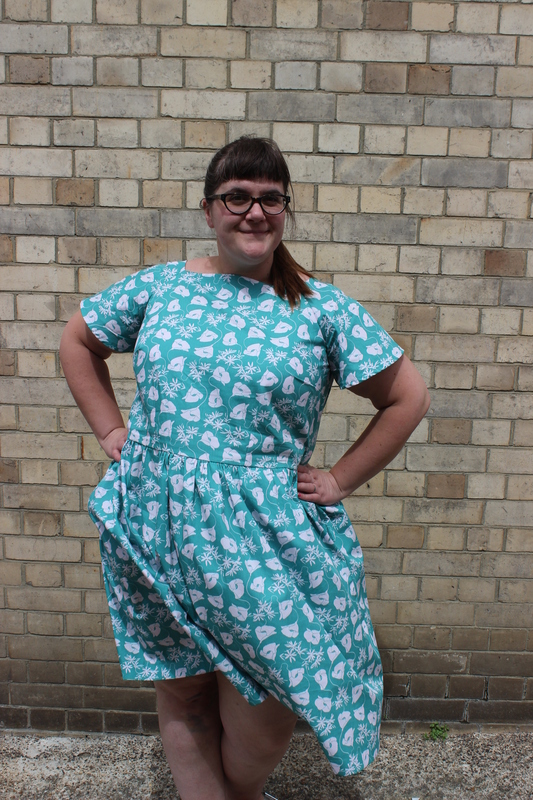 What do you think I should make with my satin and my green Liberty print?! I have 1.5 metres of each….. 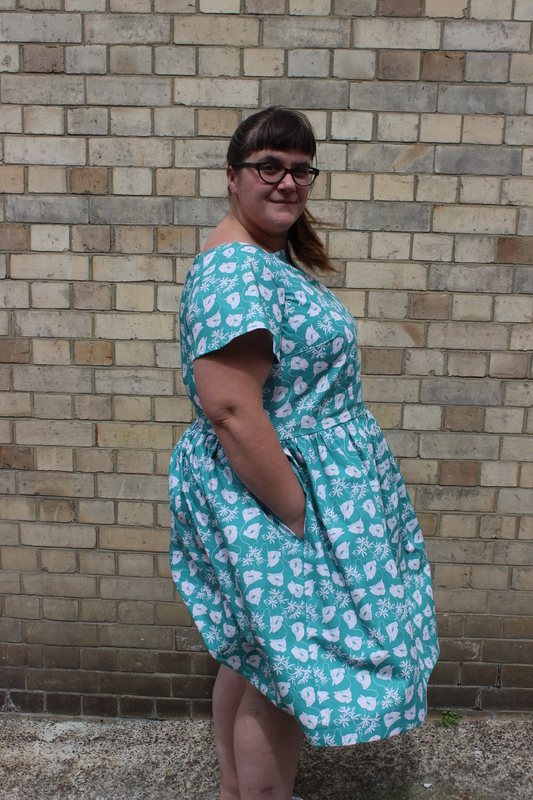 I do promise I will make something other than ESPs soon, maybe, but for now I’ll leave you with another pic of this dreamboat dress. It’s been a month since I posted here last, huge apologies. I’ve been working all hours on (amongst other things) a majorly exciting project at work crowdsourcing LGBTQ heritage. If you are so inclined, read about it here and (long shot!) if you know of any interesting queer historical places, map them on our interactive map here! But enough of that, back to sewing. I am now getting back to having some stitching time in the evenings, and I am delighted to say, I have been using it very well indeed. 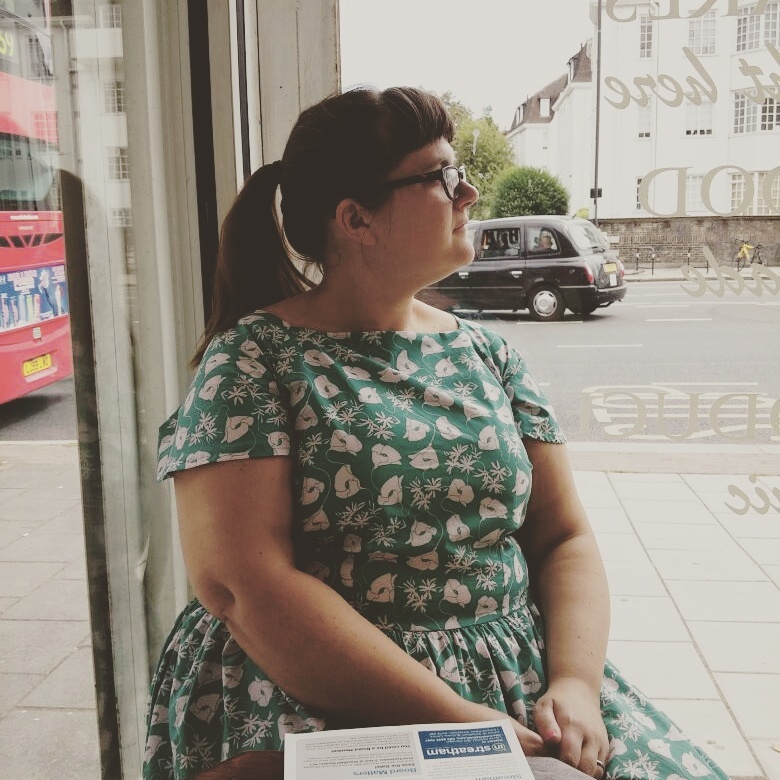 I had been having some instagram chats with the wonderful Decades of Style about the cost of postage to the UK because I so desperately wanted their Given a Chance Dress but at the time shipping was extremely expensive. When they told me they had found a cheaper shipper (is that the right word?!) 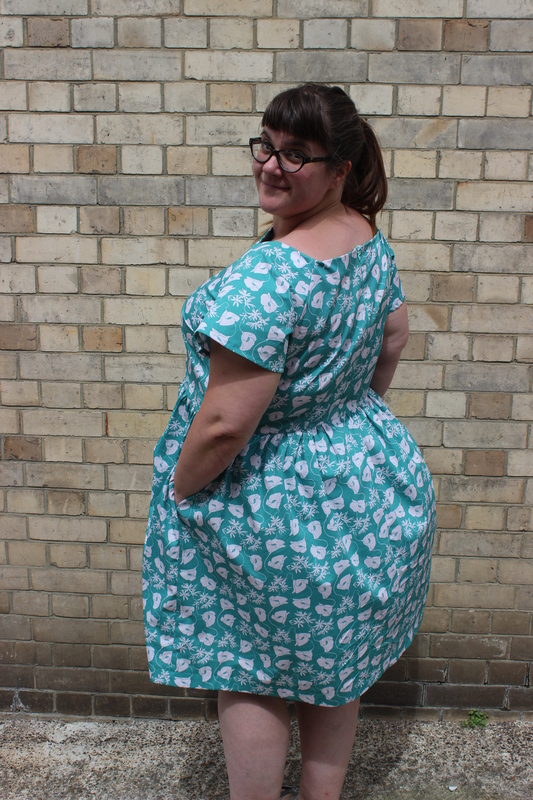 who could post as many patterns as I wanted at a flat rate of $15 dollars, I ordered the Given a Chance dress, and thought I might as well order the E.S.P pattern too because I had seen Tanya at Mrs Hughes make some really glorious versions and wanted some of that action for myself. 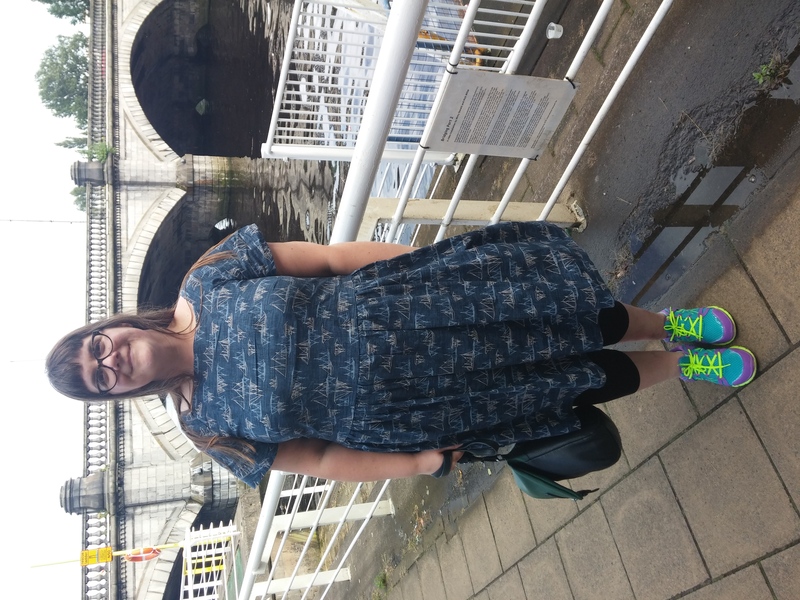 When the patterns arrived I fully intended on making the Given a Chance dress first and had been musing on various different yoke/dress combos and then I met my mum for dinner after work. She had made the classic mistake of having a bit of time to kill, and popping into the haberdashery department of John Lewis. 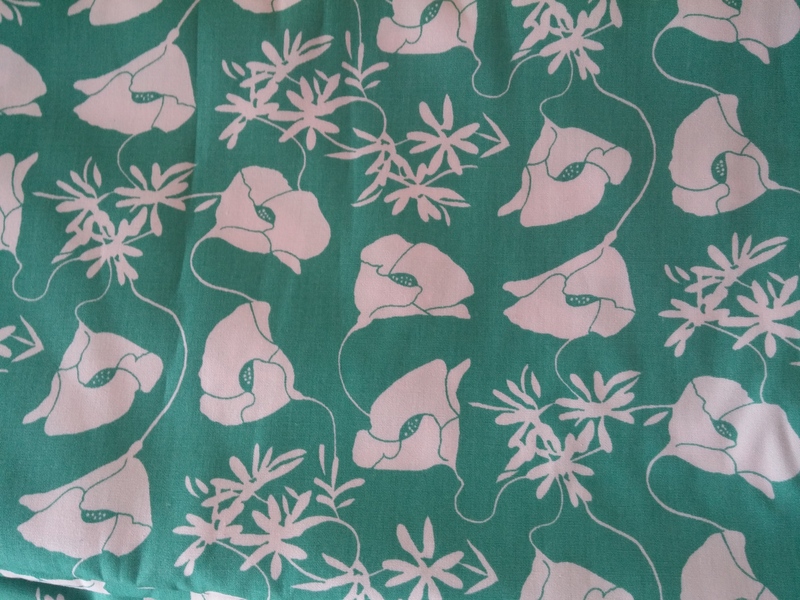 Despite generally being a bit horrified by the size of my fabric stash she found a fabric she couldn’t resist and so kindly bought me 3m of this beauty…..
You might not be able to see it here but the flowers are actually a very pale pink and it’s gorgeous. I’m not sure what kind of fabric it is, some kind of cotton blend with both body and drape, and it’s brilliant. I knew it had to be an E.S.P. And so it became this…. The biggest size was bust 46″ and waist 40″ with little wearing ease. My full bust is 51″ and my waist 45″ so I did the rarest of rare things and made a muslin of the bodice. 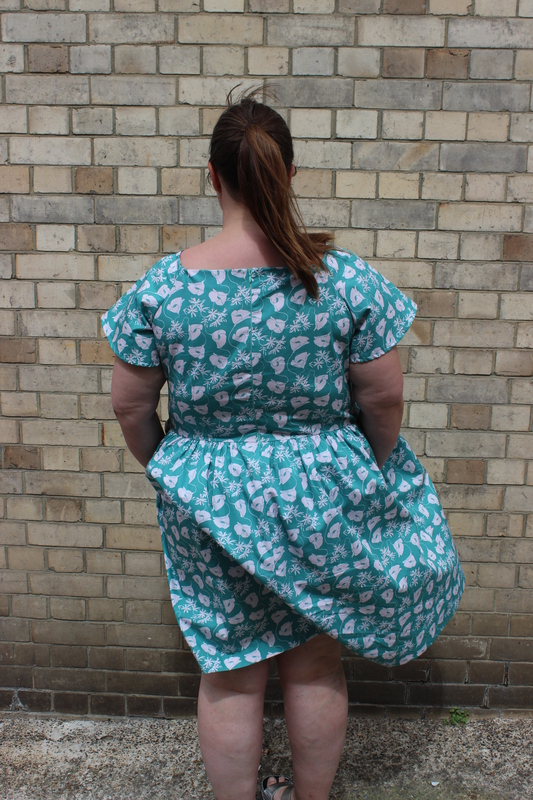 This told me I needed to add a bit of length to the bodice and a 1 inch FBA. 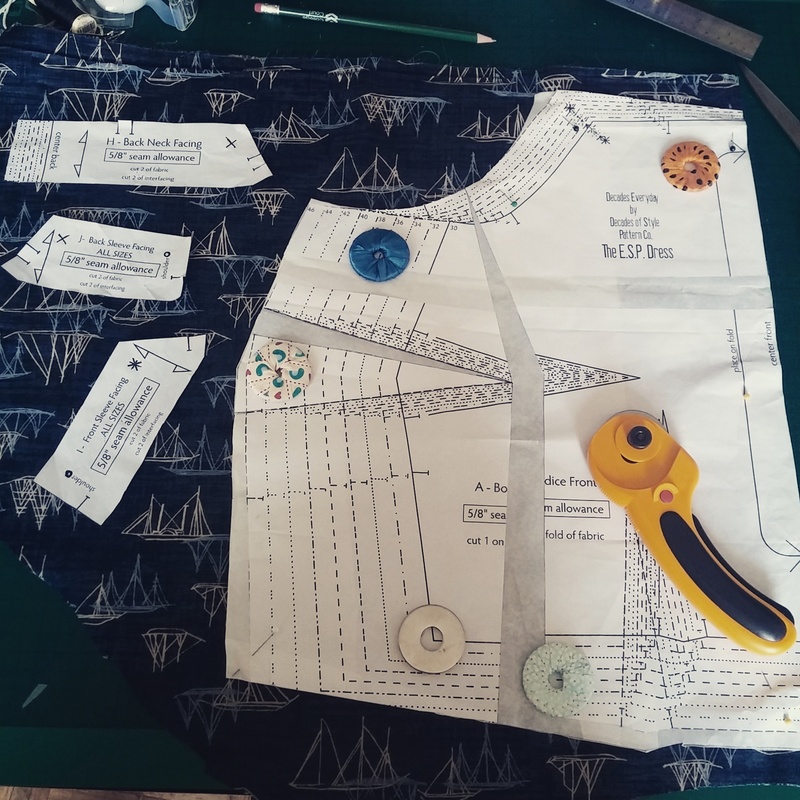 I did not incorporate this into the darts so it also added 2 inches to the waist.I also graded out the waist by another 3 inches at the side seams, and added an inch to each skirt piece. IT WORKED! I cannot believe it! Once muslined, this pattern went together like a dream. It’s really well drafted. The neck is finished with facings which I don’t really like but are necessary for this nice crisp square neckline and they do go in quite easily. I did slightly over clip my corners though and have to hand stitch a hole up, so don’t be too overzealous! 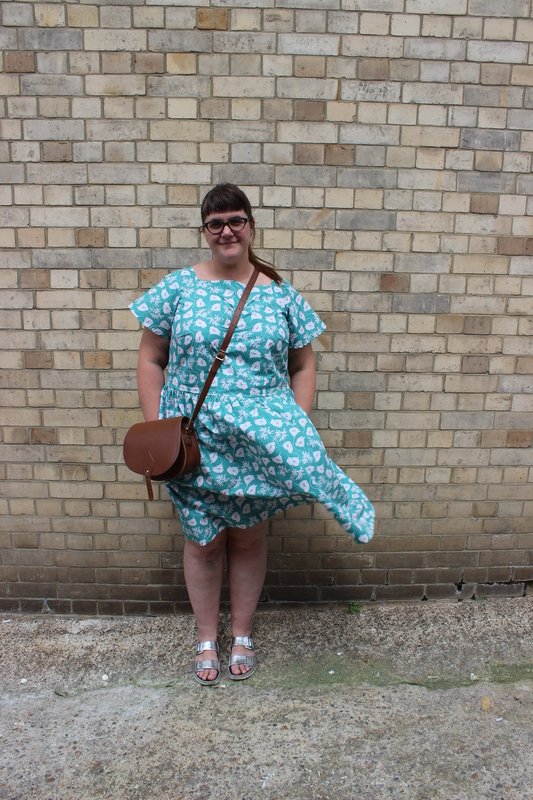 The neckline is really high, so if you are bothered about things around your neck you might want to lower it a bit. There is a great tutorial on Gmariesews who asked the lovely Decades of Style about how to do this. 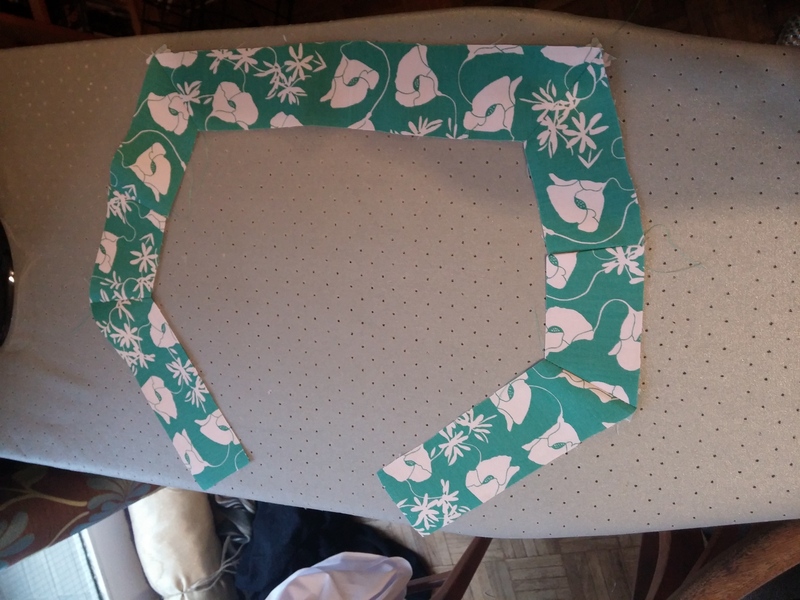 I only found out about it after I had made a VERY bodgy attempt to lower the neckline on the second version, so will use these instructions on E.S.P. number 3. Yes I do like it that much. It’s supremely comfortable, is a really stylish slightly loose but flattering silhouette, and is great for showing off prints and for using quilting cottons with. I think this is definitely my first tried and true pattern and I am SO happy about it! I’ll leave you with a few more pics of me swishing around merrily in it. P.S, I obviously didn’t press the bust darts properly before my ‘modelling’, they really aren’t that prominent in real life, I promise!